Many people are afraid of death. Although there is no indication, not even a hint, in the Hebrew Bible about a soul, life after death, and an abode for people in a place called heaven, they convince themselves that their souls will ascend to heaven after death and live forever. Lisa Miller, in her new book Heaven: Our Enduring Fascination With the Afterlife and in her article in the April 5, 2010 edition of Newsweek, reports that as many as 80 percent of Americans are convinced that they will go to heaven when they die, but virtually all of them have no clue what they mean. Twenty six percent think that not only their souls, but also their bodies will be in heaven, and virtually all of the 80 percent believe that somehow, even if they will lack their bodies, their total personalities will exist for eternity and they will be able to see their relatives again. In another poll, 30 percent of the respondents said they believed in resurrection, that their soul and their body would be reunited not in heaven, but on earth. None of the people who were polled were able to answer the question put to Jesus in the New Testament, who does the man who married seven wives in succession live with after death. Jesus didn’t answer the question either. Nor could they adequately respond to the seeming paradox that a crazy man confined during his lifetime to a sanatorium would have has his same personality throughout eternity. This is the popular view. What does the Hebrew Bible, the basic book for Judaism, Christianity, and to some extent Islam, say about the soul and life after death, and what did the philosophers think? The currently-used Hebrew word for soul is nefesh. This word appears in the Hebrew Bible, the Torah, but it does not mean soul in Scripture. The meaning of words changes over time, and this is what occurred with the Hebrew nefesh. Nefesh in the Torah means “a person” or “life force.” Thus when Leviticus 2:1 speaks of a nefesh bringing an offering, it certainly does not infer that a sacrifice is being somehow mystically or magically conveyed by the inner separate part of a person. The sacrifice was offered by a person. The Torah does not mention life after death at all. It speaks only about a long life on earth if a person acts properly and the resurrection of the nation, if it is destroyed. The famous Greek philosopher Plato (428 or 427-348 or 347 BCE), like many people today, believed that the soul exists independent of the body. It is the real me that is clothed in the body, which is not me. It may or may not have existed from the beginning of time, but it will survive for all eternity with the same personality it had when it was joined to the body. Plato contended that prior to being joined to the body the soul had learnt all that there is to learn, but was caused to forget all of this learning when it joined the body and the person was born. Plato’s notion was enormously influential and although not even hinted in the Hebrew Bible, it became the religious view of most religions. Plato’s myth of the educated pre-birth soul is contained in Jewish books (Midrashim) with the addition that an angel caused the newborn to forget all that was learnt by punching the child below the nose, and this is the origin of the cleft that humans have in this place. In his The Apology, Plato describes his teacher discussing death just before he died. Socrates said that there are two possibilities: either there is nothingness after death or “as people say, a change and migration of the soul from this to another place.” He seems to believe the second because he also says that people “must bear in mind this one truth, that no evil can come to a good man either in life or after death, and God does not neglect him.” However there is no certainty that Plato accepted the second possibility because, as Plato wrote in his Republic it is necessary to teach the masses ideas that are false, called “essential truths,” in order to control them from acting improperly and to weaken their worries. 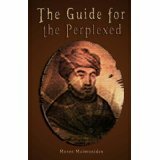 The son of the famous rational Jewish philosopher Maimonides, Abraham (1186-1237), held mystical views. He defined “soul” as the separate spiritual part of a person, the inner being, the personality that survives the body’s death. Thus, like Plato, Abraham’s definition parallels the vague definition held by most people today. The soul, according to Abraham in his Highways to Perfection, somehow mystically aspires and longs for the spiritual, heavenly world. It is withheld from attaining its goal by the unholy, almost demonic, pull and behavior of the body. The soul’s function is to obey God, serve Him, and be present before Him. Its goal is the mystic union with God. Aristotle and the great Jewish philosopher Moses Maimonides (1138-1204) rejected Plato’s notion that the soul is a separate being, a personality independent of the body. 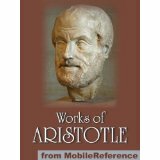 The philosopher Aristotle (384-322 BCE) was the student of Plato. Aristotle, in his De Anima, contended, like the Torah, that the “soul” is the life force that makes it possible for something to live and think. It is “the cause or source of the living body.” It is “the essential whatness of the body.” In humans, the soul is comprised of five parts or systems: the nutritive system, the appetitive (desires and passions), senses, locomotion, and thinking. Since they are alive, plants and animals also have souls, but not all five parts. Plants, according to Aristotle, only have the nutritive part of the soul. Animals have four of the five and lack thinking. Aristotle stated that the “mind” or “intellect” cannot be destroyed and it will continue to exist after the body dies. Old people have difficulty thinking not because the mind has deteriorated, but because the vehicle, the body, holding the mind has deteriorated. This is similar to what happens when a person is drunk or sick; the body does not allow the mind to work. Moses Maimonides (1138-1204) rejected the notions of Plato and of his son Abraham. In his introduction to Mishnah Pirkei Avot, Maimonides uses the word “soul,” but like the Hebrew Bible and Aristotle, he understands “soul” to refer to the life of a person. The soul is comprised of five elements or systems: nutrition (the digestive system), sensation (the senses), imagination (memory and the power to imagine impossible and unknown things), stimulation (emotions), and conceptualization (thinking). This five-part division is very similar to Aristotle’s division. In his introduction called Chelek, Maimonides wrote, like Aristotle, that only the intellect survives death and not the soul. He wrote that a person’s intellect joins the “active intellect,” a force that many philosophers of his time believed existed around the sphere of the moon. Neither the active nor the human intellect can join God, because unlike his son, Maimonides said that nothing can be joined to God. Two basic problems exist. First, no one believes today in the existence of the active intellect. Second, Maimonides never said that the surviving intellect would remember its life on earth. Thus, it is possible that Maimonides is saying is that just as all matter on earth, such as fallen trees and the human body, do not disappear, but return to the earth and are preserved in another form, the same occurs with the intellect. If this is what he meant, the intellect survives, but the person in essence is dead. The concept of the existence of a “soul,” a person’s personality that is separate from the body, which survives the death of the body and lives on for eternity, while accepted as axiomatic by Christianity, Judaism, and Islam, is not in the Hebrew Bible. Thus, it is not a basic Jewish belief. The idea was taken from ancient pagan cultures and the Greek philosopher Plato was probably the person who was most influential in molding this Christian, Jewish, and Islamic belief. However, not all people of these faiths accepted the idea. Maimonides, for example, rejected the notion, and accepted the ancient Torah concept and the expanded teaching of Aristotle.